1When I came to you, brothers, I did not come with eloquence or superior wisdom as I proclaimed to you the testimony about God. [a] 2For I resolved to know nothing while I was with you except Jesus Christ and him crucified. 3I came to you in weakness and fear, and with much trembling. 4My message and my preaching were not with wise and persuasive words, but with a demonstration of the Spirit’s power, 5so that your faith might not rest on men’s wisdom, but on God’s power. 5. Avoid the spirit of elitism, of making others feel inferior. 7. Manifest solidarity with and service to society. 2) Your group or family receives the support and graces of your local church. a. It’s a social and spiritual gathering consisting of Bible study, food, and a large degree of interaction. b. Bible studies follow a sharing and discussion format rather than classroom style lectures. c. The group meets weekly or bi-weekly and does not meet in summer time. e. Group study methodology would follow Lectio Divina. The word “evangelization”, though rooted solidly in both Scripture and Tradition, still sounds strange to many Catholics. It means, literally, “‘communication of the gospel,” the spreading of the good news of Jesus Christ. Its root word, the Greek Euangelizo, means simply “good news.” As Catholics we have always evangelized, but perhaps we have not identified it as such. When did we first learn of Jesus? Who taught us our first prayers? Who passed on their faith to us? To whom are we passing on our faith? Over the centuries the Catholic faith has been handed on and shared with others. This is evangelization. The disciples of Jesus when commissioned by him to “Go into the whole world and proclaim the Good News to all of creation,” became the evangelizing church. In essence, evangelization is a way of life. “Evangelization will also always contain – as the foundation, center and, at the same time, summit of its dynamism – a clear proclamation that, in Jesus Christ. The Holy Spirit, who is at work in the heart of every person, is the principal agent of evangelization. The Spirit, the first gift of the risen Christ to his people, gives us both the ability to receive the Gospel of Jesus and the power to proclaim it. Without the Holy spirit, evangelization simply cannot occur. Above all, the Gospel must be proclaimed by witness, that is, we are called to live our lives in such a way that it is obvious that we take our faith seriously. Our relationships and everyday activities in our families, workplaces and society are to be shaped by Gospel values. We witness as an evangelizing community when we gather around the Table of the Lord and when we reach out to those in need. All of us who have been given the gift of faith are asked to freely share this gift with others. 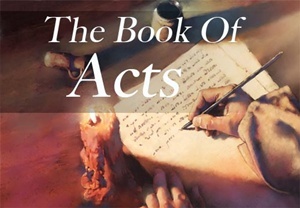 We are urged to tell others how God is acting in our lives. We need to do this in our own way, using words that are comfortable for us. • with those who have given up active participation in the Catholic community. We also welcome those seeking full communion with the Catholic Church. Sharing our faith needs to be done in the spirit of dialogue, with respect and concern for others. • It involves listening and being open to how God is working in another person’s life. • We need to have a gentle, non-threatening approach. • We are not to proselytize, that is, we are not to manipulate or pressure anyone. Evangelization is sharing the Good News that we have experienced and inviting others to join us. As a parish community, we can develop strategies to help us in being proactive about evangelization. •Know your parish – its strengths and challenges. •Know your needs and those of the wider community. •Be realistic about expectations and goals. •Know your resources: human, financial and material. •Affirm and encourage evangelization efforts already taking place. •Build on the strengths you have in your parish. Evangelization is everyone’s responsibility. Pope John Paul II called for a “New Evangelization.” This means we are called to be proactive in our responsibility to be evangelizers. Until now, most Catholics have thought of evangelization as something Protestants do, or that it is a private action, in that we don’t wear our religion on our sleeves. Many Catholics even have a hard time saying out loud that they believe in the Lord Jesus Christ. Images of Protestant evangelizers have left an unpleasant taste in the mouths of Catholics, so that we, as Catholics, find it distasteful to impose our morality or our religion on others. “God talk” is not a typical subject of conversation like football, food or the movies and it even seems to be embarrassing to engage in it. Many Catholics feel ill-equipped to discuss their faith, especially when pitted against Protestants who can recite Bible verses on command. Today, Catholics have taken a place among the best-educated and most prosperous citizens of this country. Most of the barriers to our full participation in Catholic life in the United States have fallen away. But our reluctance to share our faith with others has not. However, despite this reluctance, a growing number of Catholics are realizing their faith is not a treasure to bury under a bushel basket, but rather they are looking for concrete ways to share their faith. They, in effect, let their light shine. and ruling in His name and power. Whom Are We Called to Evangelize? In order for us to evangelize others we must first be evangelized ourselves. • we are called to ongoing conversion and renewal. • We need to continually develop and deepen our faith. As adults, we must pay special attention to how we evangelize our children. That is, how we hand on the faith that has been given to us. • Serving all our brothers and sisters by acts of charity and working for justice and peace. Active Catholics need to become excited Catholics eager to share their faith. Millions of Catholics for a variety of reasons no longer practice their faith. • As an evangelizing community, we have to let our sisters and brothers know that we miss them and that they will always be welcomed back. • We must be actively involved in seeking ways to help people be reconciled and reunited with Christ and the Church. A significant number of people do not belong to any church. As Catholics we need to reach out and invite these people to be part of our faith community. \for all people of every race and culture . We can reach out to share the Good News of Jesus Christ with everyone and especially newcomers, inactive Catholics, the marginalized and the unchurched. •Become a sharing person who freely witnesses to the Catholic Faith and recount personal experiences openly with others. •Invite a new parishioner, neighbor or friend to dinner or a social event to build a friendship based on Christ’s love. •Visit a new parishioner or neighbor to build community and communion. 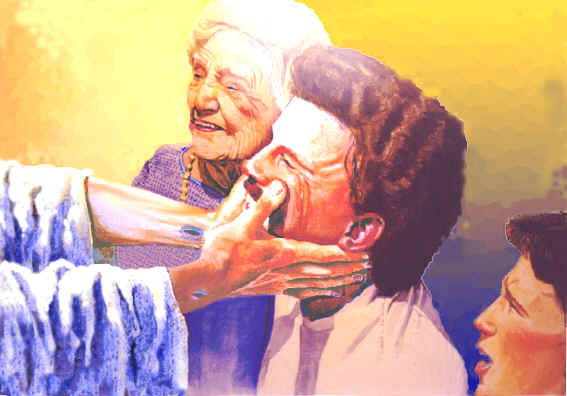 •Become a minister of care and bring Holy Communion to the homebound and hospitalized. •Practice hospitality in the parish, neighborhood and workplace by listening, encouraging, affirming and celebrating others. •Develop a welcoming atmosphere at home by being present for family meals and other family celebrations and special occasions. “Embracing all the activity of the parish is a basic vocation and commitment to evangelization. issues and conditions of our lives. •What are ways you can evangelize in your parish, neighborhood, etc.? •How can you help make your parish an evangelizing community? SILENCE – “Be STILL, then, and know that I am God” (Psalm 46:10, CEV). Lord their God with fear and trembling” (Deuteronomy 31:13). the house of Lord all the days of my life” (Psalm 27:4). my words ABIDE in you …” (John 15:1-5). 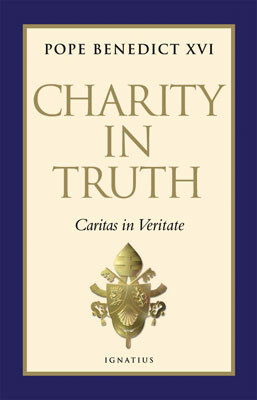 ”Charity in truth places man before the astonishing experience of gift. Gratuitousness is present in our lives in many different forms, which often go unrecognized because of a purely consumerist and utilitarian view of life. The human being is made for gift, which expresses and makes present his transcendent dimension. Sometimes modern man is wrongly convinced that he is the sole author of himself, his life and society. This is a presumption that follows from being selfishly closed in upon himself, and it is a consequence — to express it in faith terms — of original sin. I’d like to make a few comments on my last post, the excerpt from Simon Tugwell’s book, though perhaps you have already found it self-explanatory. The first thing I appreciated about it was his insight into human psychology and behavior. We are quite complex beings, often rather maddeningly so, yet it is often difficult for us to refrain from judging others merely by appearances instead of seeking the deeper reasons why they speak or behave in the ways they do. But Tugwell situates our psychological dynamics in a spiritual reality. We play all our silly and destructive games ultimately because of original sin, because we are fallen people living in a fallen world, and we somehow feel the need desperately to cover up that inescapable fact. But it’s not enough, evidently, simply to recognize the fact that we try to put on false faces before others and even before God. It’s a long and difficult road honestly to open ourselves both to God’s love for ourselves and to his invitation to share it with others. We are something like abused children who do not easily trust the loving advances of another, even if they are pure and sincere. So we probe and test and make it as difficult as possible for another (or Another) to love us. The following lines from Tugwell go a long way toward understanding why some people react as they do, and it rings true in my own experience in dealing with “problematic” people: “The ingrained habit of suspicion can test love only by hurting it. And deep distrust may have to inflict deep hurt before it can rest content.” I have seen this played out before my eyes, and it is extremely difficult to endure, and more difficult still to help the person see what he is really doing. “But here also is the ultimate test of God’s love. In Christ, God provokes man to do his very worst; and he continues to love. Here, then, is a love which has demonstrated that it does not flinch even when we do our worst. It is a love which can absorb our pathological drive to probe and wound. ‘He has borne our diseases’ (Matt. 8:17); and that means both that he has carried them away and disposed of them, and that he has endured them, loving ‘to the end’ (John 13:1). So God in Christ has, in effect, challenged us to do the worst we can to Him. Go ahead, probe, test, push Him to the limit. The Cross testifies that He can take it and still go on loving. For divine love “is a love which can absorb our pathological drive to probe and wound.” God’s two-fold response to our stubborn insistence on testing his love to the limit gives us an insight into the nature and the ways of God. It is both consolation and reproach. He assures us that nothing we can do to Him can make Him cease loving us, but at the same time He places a mirror before us so we can see the horror of what we have made of ourselves, and what we in our sin have done to the One who loves us so much. That is why the call to salvation—the call to eternal happiness with the One who loved us first—always begins with a call to repentance. So he concludes: “Love, in our broken world of sin, can never be other than forgiveness.” This is why I placed as title of this post the equation of divine love and mercy. Divine mercy is divine love, as applied to our sinfulness. Despite what some forms of modern, superficial “me & Jesus” spirituality may suggest, we cannot engage as equals in a loving relationship with God. We are not on a par with Him, nor does He owe us anything. He will always and forever be Creator, Lord, Father, Judge, and Savior, even if He has, in his incomprehensible compassion and humility, invited us to friendship and intimacy with Him. What He loves in us primarily is his own image and our efforts to choose his will under the influence of his grace. 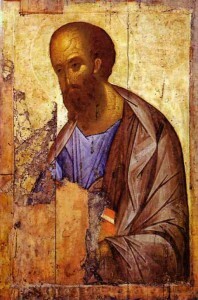 “His love is the ultimate source of our very existence; there is no antecedent beauty on our part.” We have to realize that his love can only (at least in this life) take the form of mercy—and there are many forms of mercy—because we daily sin against Him and are forever in need of his saving grace to keep us from falling away to the place our sins would send us. Therefore we are always “in arrears,” owing a debt we cannot repay, dependent upon Him who never ceases to forgive as long as we never cease to repent. We stand in awe and gratitude at the way his love has silently disarmed every missile we could hurl at Him, yet we stand in shame at what we cruelly made Him suffer to manifest that love. When we constantly pray in the Liturgy “Lord, have mercy,” we are, in a sense, asking Him to love us in the way we most need to be loved; we are asking Him to love us as only He can. So the whole process begins with our awareness of our hiding from God and our hypocrisy toward others, then to our first faltering acceptance of God’s love—mixed with testing and distrust—to a fuller awareness of the horror of our sin and the magnitude of God’s loving mercy, to a share in communicating that same divine love/mercy to others, while sharing also in its price, the mystery of the Cross. The final step is to experience love bearing its eternally sweet and wondrous fruit in the Kingdom of Heaven. You know, whenever I learn something more about true Christianity, I’m always amazed at the depth and the richness of it, and also at its uncompromising character. This is the real thing. Nothing expresses the truth, depth, power, and love of God like his definitive revelation in his Son, our Lord Jesus Christ. (And He reveals not only Himself but He also shows us who we really are—for better and for worse!) Yet it’s not enough simply to read the Scriptures to understand this revelation and to let it deeply penetrate your soul. Its drama has to be played out in your own life, your own heart, your own suffering, your own relationships, your own prayer. We must always go deeper, for there are always more unexplored depths to the mystery of God. He won’t rest until He has brought us to perfection. When his mercy has finally accomplished its task, there will be nothing left in us in which He cannot delight, and we will be taken up forever into that everlasting and unimaginable exchange of love that is the All-holy Trinity. 9After he said this, he was taken up before their very eyes, and a cloud hid him from their sight. 12Then they returned to Jerusalem from the hill called the Mount of Olives, a Sabbath day’s walk[b] from the city. 13When they arrived, they went upstairs to the room where they were staying. Those present were Peter, John, James and Andrew; Philip and Thomas, Bartholomew and Matthew; James son of Alphaeus and Simon the Zealot, and Judas son of James. 14They all joined together constantly in prayer, along with the women and Mary the mother of Jesus, and with his brothers. 23So they proposed two men: Joseph called Barsabbas (also known as Justus) and Matthias. 24Then they prayed, “Lord, you know everyone’s heart. Show us which of these two you have chosen 25to take over this apostolic ministry, which Judas left to go where he belongs.” 26Then they cast lots, and the lot fell to Matthias; so he was added to the eleven apostles.